Introducing Guy Fieri Flavortown Roasts for Kcup compatible machines. 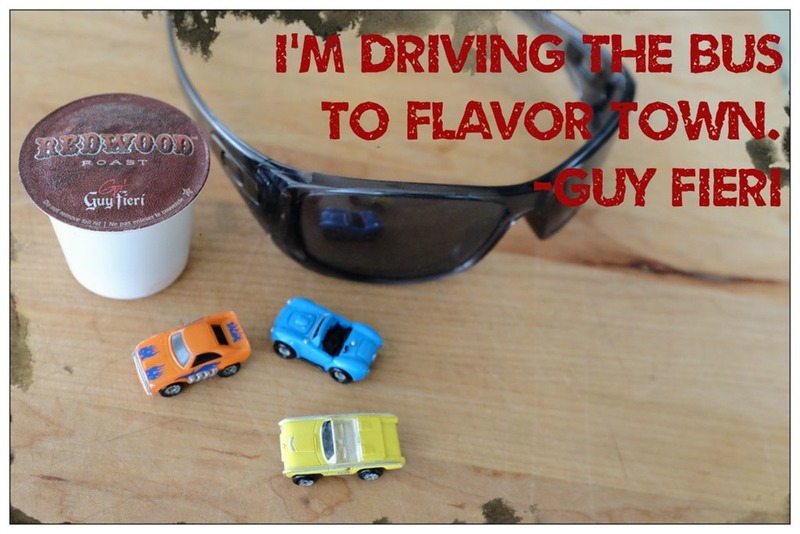 REDWOOD Roast is big, bold and strong like the mighty redwoods, this French roast will get your engine started – the convertible, cool shades and Food Network show are completely optional! We recently went back to using our Bunn coffee maker in the mornings since I am home and we need large amounts of the liquid gold first thing in the morning. However, in the afternoons one cup is all that’s called for and these new flavours from Guy Fieri (available at ECS Coffee) hit the mark perfectly. I was not prepared for how much I would like this REDWOOD Roast, it really is strong and bold. In fact I much prefer it to the Bunn coffee we have at the moment. Trust me if your looking for big flavor this is the Kcup for you!